Create overlapping, multi-colored rings of light with Radius 2.0. Powered by 3W RGBWA LEDs, this fixture offers variable strobe in any color combination and features a variable-speed motor to control back-and-forth motion. Built-in automated and sound-activated programs operate with or without DMX control. 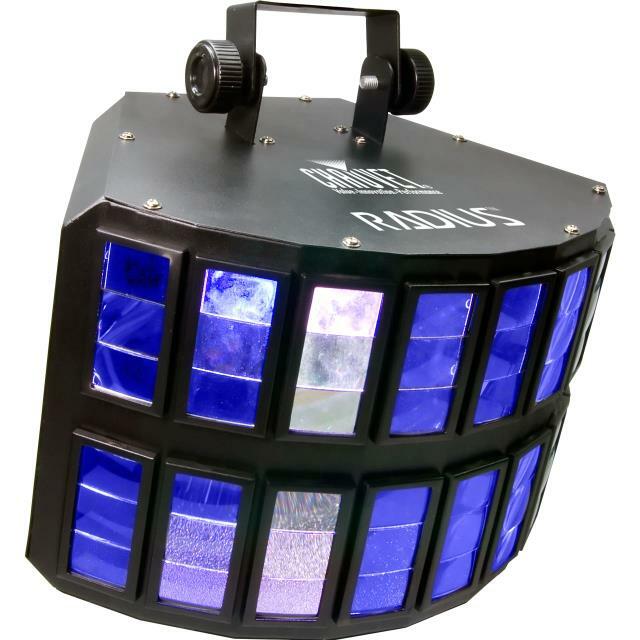 * Please call us with any questions you may have about our radius 2.0 audio modulated light rentals/sales in State College, serving Central Pennsylvania.